We are a team of talented, experienced professionals with a desire to help you grow your business. We offer a wide array of services under one roof to make life easier for you. 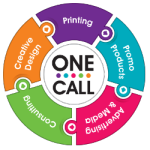 Regent Promotions’ ONE•CALL solution saves you money, reduces stress, and lets you get back to doing what you need to do. With ONE•CALL, you have immediate access to our complete line of services and products.